Naino Ne Baandhi Lyrics from Gold starring Akshay Kumar & Mouni Roy is sung by Yasser Desai. Its music and lyrics are given by Arko Pravo Mukherjee and video is released by the label Zee Music Company. 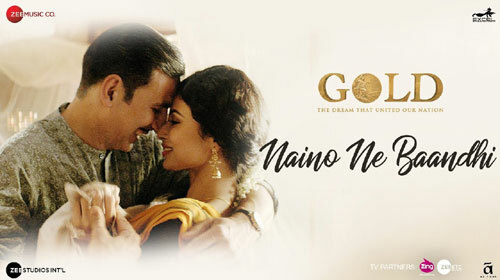 If you find any mistake in lyrics of NAINO NE BAANDHI LYRICS – Gold | Akshay Kumar song please let us know in comments.